A geographically diverse region of New Zealand the Upper South Island encompasses beaches, mountains and forests. Go sailing, kayaking and learn about the thriving contemporary and Maori arts scene. There is so much to experience and plenty of cities to explore in New Zealand's South Island. Whether you're a local or just visiting, our things to do in Upper South Island are the best ways to experience the region. Known for its wine making industry and Marlborough Sounds, the Marlborough region has plenty of things to see and do. Take in the amazing scenery of the Marlborough Sounds onboard the Marlborough Sounds greenshell mussel cruise and enjoy freshly steamed mussels paired perfectly with a Marlborough wine. Take a step back in time with the historic Marlborough flyer steam train tour and enjoy the beautiful countryside before exploring Blenheim at your leisure. 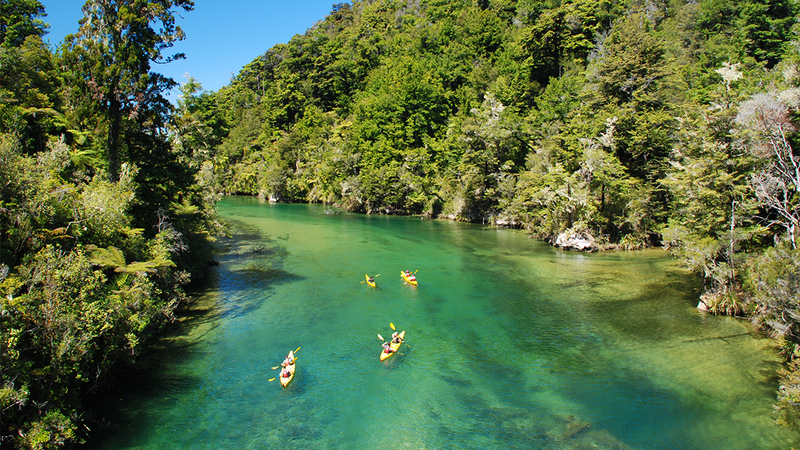 If you're visiting Upper South Island, we definitely recommend checking out Abel Tasman and its renowned National Park. Jump on board a cruise tour and walk the Forest River swing bridge. You'll get to visit the most photographed rock in NZ, split apple rock and explore the magnificent views of the Abel Tasman National Park. If you want to check out Nelson NZ from the best vantage point, the private scenic helicopter flight with alpine banquet is the ultimate experience. This first class flight involves flying over the scenic Marlborough and Nelson region before enjoying a gourmet banquet at altitude. Our things to do in Upper South Island has an amazing range of experiences to explore Marlborough, Nelson and Abel Tasman.